Fort Collins anticipates 100,000 new community members in the next 15 years. Who will we become? There are growing concerns about losing what makes this place special. For better or worse, people have discovered that living in Fort Collins and on the Colorado Front Range has a lot to offer. We’ve enjoyed a slew of top ten rankings over the years – most recently as the fourth happiest city in America by National Geographic. While there is much to enjoy about a robust economy and real estate market, there are plenty of concerns, as well: high-end national stores pushing out opportunities for startups and innovative small businesses, rising housing prices and cost of living, headache-inducing traffic, an increasingly affluent and homogenized demographic, loss of farm land and open space, and the list goes on. These concerns ring true for many Front Range towns and cities, and raise important questions: Who do we become in the face of change? How do we protect that which is special? How do we respond to the forces of population growth and economic prosperity that are upon us? The Institute for the Built Environment brought experts and visionaries together to better understand Fort Collins’ uniqueness through its Story of Place. During the summer of 2017, the Institute for the Built Environment, teamed up to hold a in Fort Collins. Over a span of nine online sessions and a five-day intensive, the series immersed participants in a guided research process for understanding and working with place as a living system. 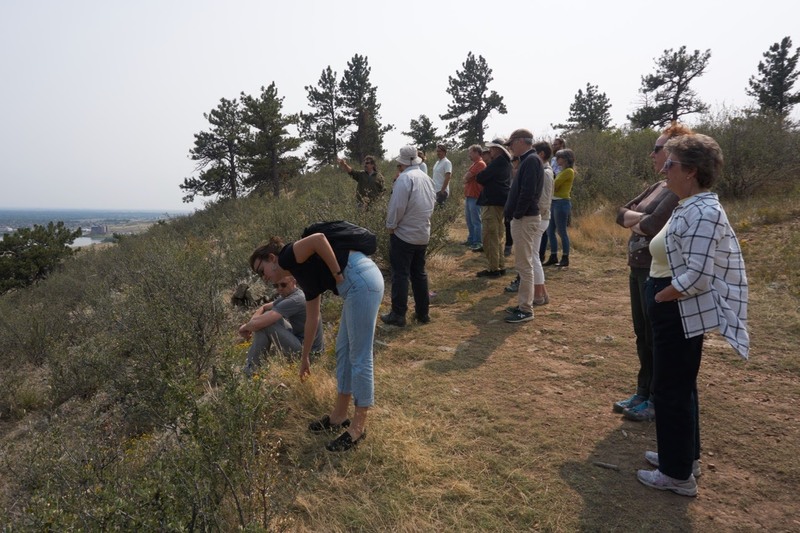 Participants gathered from as near as our backyard to as far as New Zealand, Canada, and Spain to explore every aspect of Fort Collins. They explored the formation of the mountains and the deep sediment of the plains; to the Paleo-Indians and the mastodons they hunted; to keystone species like cottonwoods, beavers, bison and ground hogs; and then to more recent inhabitants like sheep farmers and beer brewers—all with an eye to see Fort Collins as a living system and to discover its essence. The idea was that if we could come to understand Fort Collins’ essence, then just maybe we would have a better chance of understanding who we might become. The Story of Place cohort defined Fort Collins’ essence as a starting point for visualizing our future. 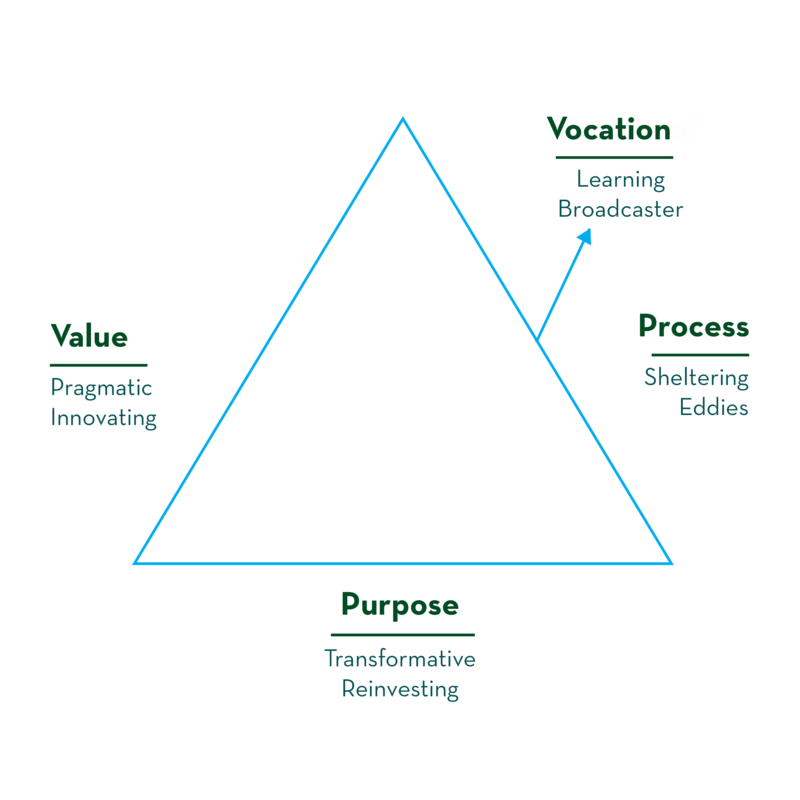 The essence of a place is made up of a core value, process, and purpose, as well as a vocation. Through in-person interviews, field trips, internet research, late night conversations, and much reflection, we came to the following hypothesis on the essence of Fort Collins. Sheltering Eddies (core process): From the literal eddies in the Poudre River, to its harbor from tornadoes, to its beer gardens and the Innosphere, Fort Collins’ core process is to create safe placesor sheltering eddies, that allow for innovation, connection, and enjoyment. Pragmatic Innovating (core value): Speaking of innovation, Fort Collins is known for being down to earth, yet innovative. From feeding beet greens to lambs (and thus becoming the lamb capital of the world in the early 1900s), to founding the Peace Corps, to inventing the Water Pik and Prieto battery, Fort Collins innovates. .
Transformative Reinvesting (core purpose): Fort Collins believes in the future and invests in it for the common good. 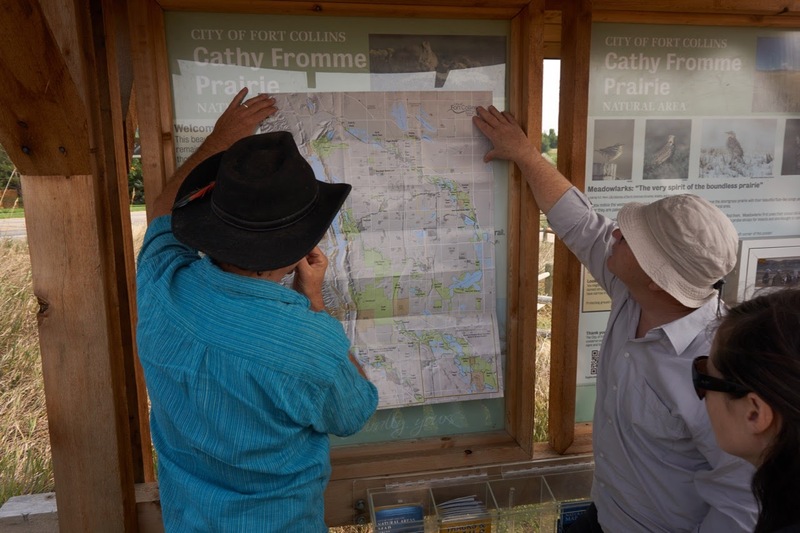 From the sedimentation and seeding processes that result from flooding, to investing in future generations through the Climate Action Plan, Fort Collins looks toward the future and reinvests precious resources in hopes of a brighter one. Learning Broadcaster (vocation): A vocation is a calling. According to Miriam Webster, “vocation” is “a summons or strong inclination to a particular state or course of action.” In terms of a place, vocation refers to the value that a place continually contributes to its region. The group offered that perhaps Fort Collins’ vocation is taking all of our learnings, creations, and innovations, and broadcasting them back out to the world. Obviously that is the mission of a land grant institution like CSU, but maybe it’s not a coincidence that the global atomic time is broadcast from just north of town. Urban Lab will lead ongoing efforts to integrate Story of Place outcomes into Fort Collins’ future. The local cohort from the Story of Place Course is developing a narrative around the course outcomes, which will become the foundation for ongoing work and engagement through Urban Lab. Stay tuned by subscribing to IBE’s quarterly newsletter, and share your thoughts below! How might the Story of Place process make your projects better? The Story of Place process isn’t about finding the one true story; it’s about seeing a collection of stories over time as reflections of the whole. Developed by Regenesis, Story of Place is a process of discovery that aims to understand the unique features of a place and what makes it special, and to apply this understanding to regenerative development. The goal is to “access the deep love and caring that people have for their place, and then reconcile the inevitable contrasting stakeholder viewpoints into a higher-order understanding that all stakeholders can experience, share, and work from together.” This methodology creates an understanding of what is unique, important, and fundamentally programmed into any given community. The process pulls on a community’s collective experience to explore a place’s distinction—from pre-human history through human inhabitation—considering how culture has developed though time. It uncovers complex patterns that point to customized strategies for supporting a place’s ecological, social, and economic resilience. Communities regenerate not from the outside in, but from the inside out. Regenerative development is not about generic solutions or even best practices, and it begins with a process of discovery.